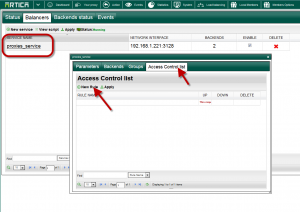 Access Control lists can help you about change the default load-balancer behavior. You can specify a specific server to choose from a requested domain or sources IP and many things. 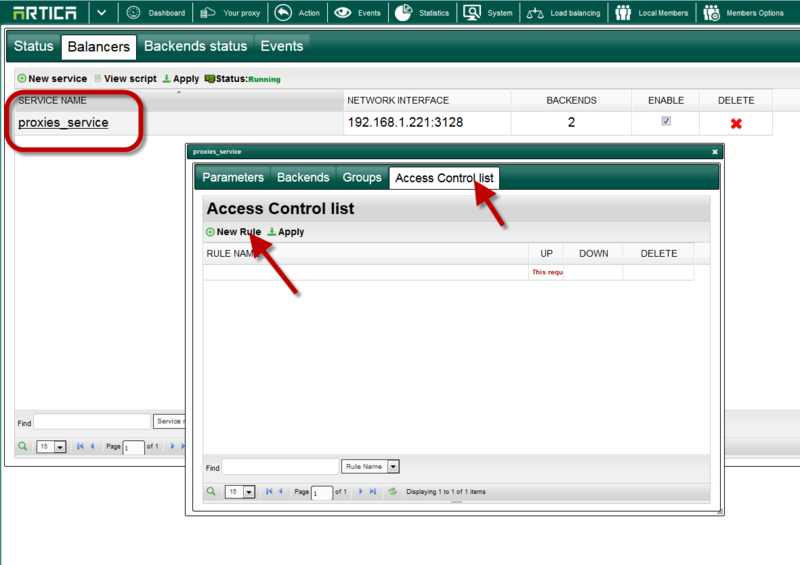 Choose Access Control List tab. Click on new rule button and set a rule name. Click on your rule link to edit it. 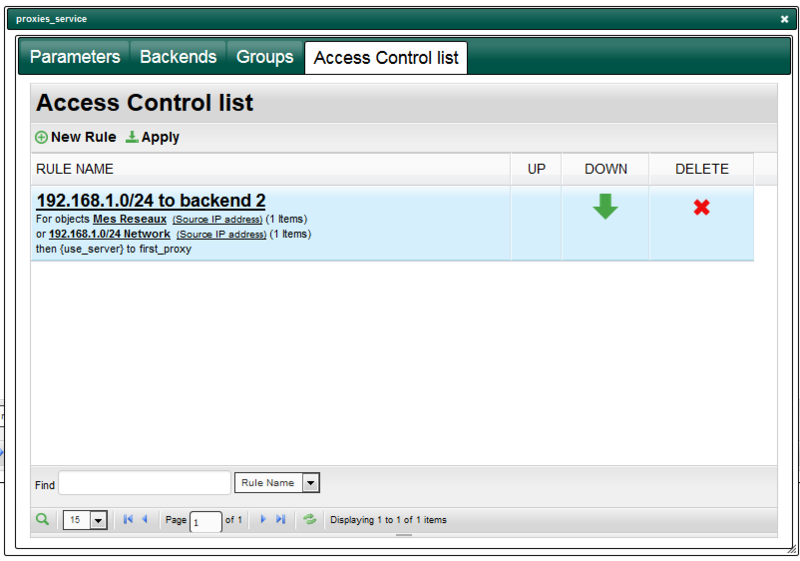 Deny: Block the Access to the load-balancing service. 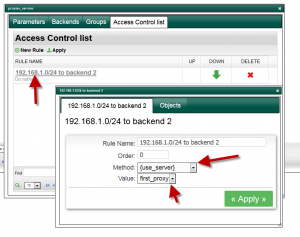 Use Server: use a specific backend server. 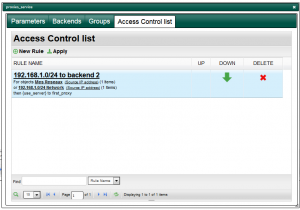 Use Servers Groups: use a specific group of backends. 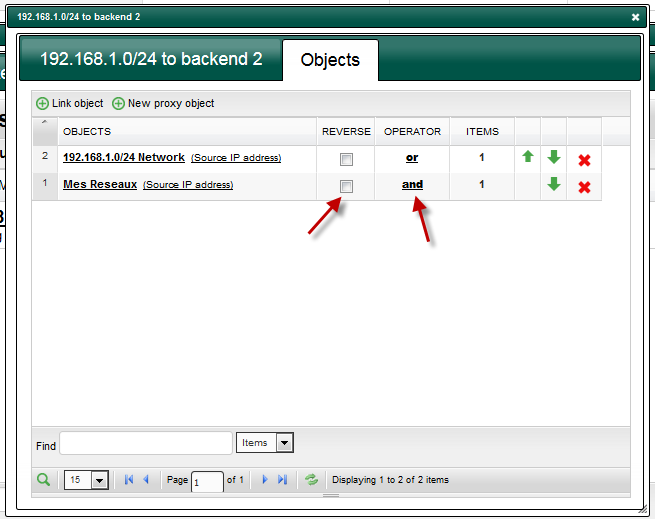 After defined the rule action, click on Objects to set the targeted item that will match the rule. Click on “New proxy object” to create a new one. 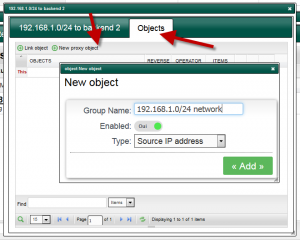 Specify the object type and the object name and save. An object can be matched or not matched. The “NOT match” can be set by enabling the “REVERSE” option. When using several objects, you can define the “OR” operator by clicking on the operator column.